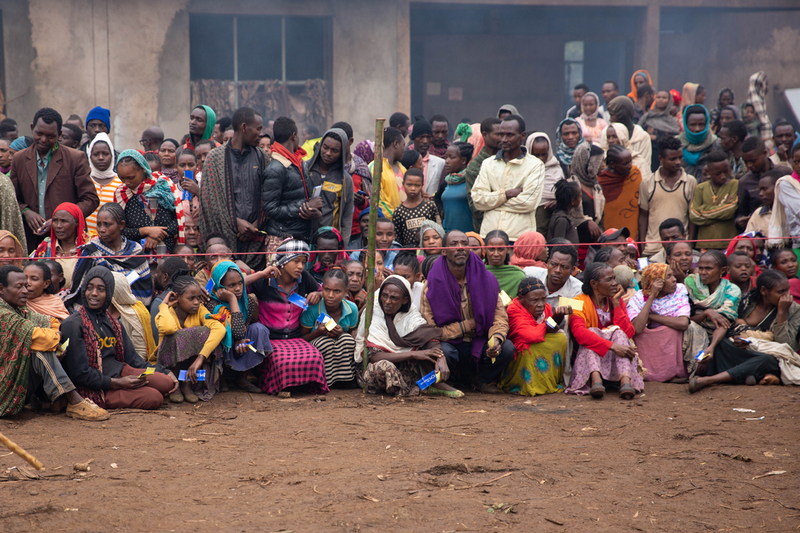 Dilla – IOM, the UN Migration Agency, has released its latest displacement reports from the crisis in Ethiopia’s Gedeo and West Guji zones, where some 958,175 people have been displaced by inter-communal conflict. In July, IOM conducted assessments of displacement sites in both zones where it found nearly 359,113 people sheltering in collective sites. The remainder of the displaced population is living with local communities, for example, in rented accommodation or with relatives, while still visiting the collective sites to access humanitarian assistance. In March 2018, historically recurring clashes between communities along the border of two Ethiopian regions – Southern Nations, Nationalities, and Peoples' Region (SNNPR) and Oromia Region – began again. As the fighting intensified in June, hundreds of thousands of people fled their homes with little more than the clothes they were wearing. IOM assessments, carried out in close coordination with the Ethiopian Government, found that in both zones, West Guji was the zone of origin of the largest group of displaced people while, more specifically, Kerca was the predominant woreda (district) of origin. In Gedeo, the zone where the majority of the 970,000 displaced people are living, there are at least 276,939 people in 134 collective sites. The collective sites range from schools to government buildings and disused or unfinished buildings. In seven of the sites, more than half of the residents are living outside or in open spaces. 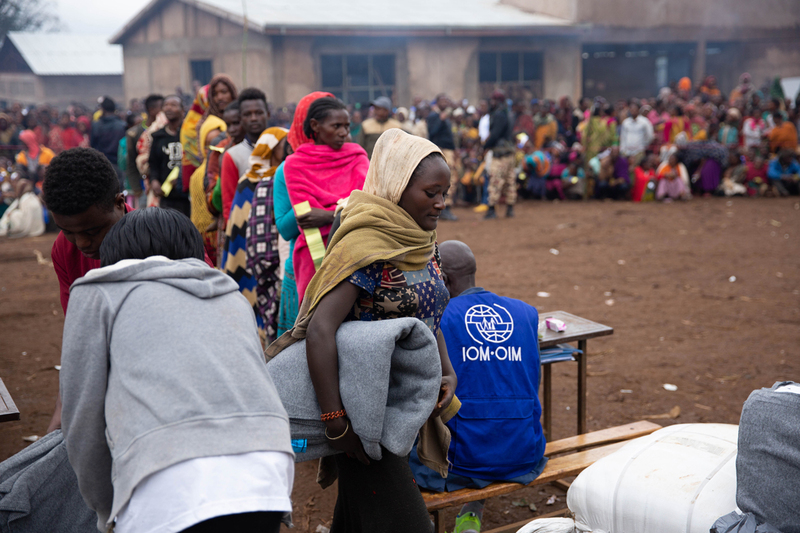 As Ethiopia is experiencing its cold and rainy season, providing adequate shelter to these displaced communities is a priority for IOM. In 59 of the Gedeo sites more than half the people did not have enough drinking water and in 64 of the sites, half did not have appropriate access to latrines. Many of the sites in Gedeo are in remote areas and 19 of the 134 are inaccessible by car, making humanitarian aid delivery extremely difficult. Four sites are completely inaccessible whatsoever, which means assisting these communities is near impossible. In West Guji, some 82,174 displaced people are sheltering in 43 collective sites of which five are inaccessible and as with those in Gedeo, the main area of origin of the displaced population is Kerca, West Guji. In 12 sites in West Guji, over a quarter of the population are living outside or in open spaces. In sites in both zones, people began arriving in March and were still arriving in July as the assessments were being carried out. Health facilities are mostly not available in the displacement sites but are no more than 30 minutes away. The most common means of accessing food for families is through food distributions. IOM’s Displacement Tracking Matrix (DTM) Rapid Response Site Assessment tool is designed to provide detailed information at site level for emergencies occurring outside the DTM Mobility Tracking data collection periods. Community leaders from the internally displaced population collaborated closely with IOM as key informants during the assessment. The aim of this assessment is to provide the humanitarian community with up to-date information on the locations, needs and demographics of displaced populations. Visit IOM’s data portal for displacement in Ethiopia here.